INTERACTIVE PLAYGROUND IS CURRENTLY NOT BEING PRESENTED AT WRO ART CENTER. The Interactive Playground is an exhibition for the youngest audience combining aesthetic, educational and social functions. Since 2008, it has been continuously developed and enriched with new components. It consists of interactive objects and media installations, created by Paweł Janicki, Zbigniew Kupisz, Patrycja Mastej and Dominika Sobolewska and produced and conceived by WRO Art Center, currently enhanced by using the latest solutions of contemporary art for children. It’s a pioneering project both in the technological sense and in the way the pieces interact with the public. An integral element of the exhibition is called Chillout Cinema presenting a selection of classic Polish animation from the 60s and 70s. The Chillout Cinema breaks the frame of a typical movie theatre atmosphere, becoming a space for recreation, laidback watching and chatting. Another important element of the exhibition is the presence of Art Mediators – specially trained by the WRO team to work with the audience. The art guides know precisely the works and act as mediators between the exhibition and the audience. 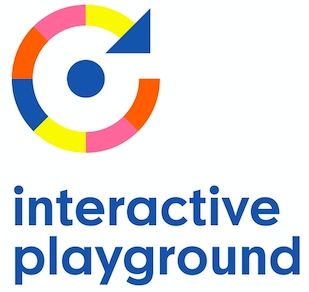 The Interactive Playground has so far been experienced by over three hundred thousand viewers in major art galleries and museums – from Moscow to Edinburgh. The exhibition and its authors were awarded the wARTo Award by the Gazeta Wyborcza daily in 2009. THE DOG was created in 1994 during the special edition of the WRO Biennale in Duże Studio of the National Television – it barked at the audience passing by, meeting kind and cheerful reactions. Next, the DOG installation became a part of the Interactive Playground exhibition. THE DOG changes, although it doesn’t grow old. The 2015 WRO Biennale brings its next incarnation. The latest version of THE DOG is a mobile application and a cartoon kennel for it that you can assemble yourself (more: www.wrocenter.pl/en/pies). RGB is an installation made of nine cubes in primary colors – red, green and blue. Take off your shoes, grab a kaleidoscope and enter a mysterious labyrinth of colours. Have a look at how they mix and what follows. TEXTURES – wave over one of the natural world’s elements, i.e. water, bark, stones, moss or mist. Your movement will make the screen explode with animations of the changing nature. PAINTING WITH LIGHT allows to paint with the light toy by moving it in front of the screen. Follow the colourful shapes coming up right in front of your eyes and listen to the sounds. In 2015 the installation has been enriched with a new element – interaction via mobile devices (smartphones, tablets, etc. ), whose first networked presentation – under the new title, “Painting” – took place on Jun 1, 2015 (on Children’s Day) in the frame of the 2015 TEST EXPOSURE WRO Biennale. PLATFORM – jump onto the colourful keyboard of this giant instrument. Move across the rainbow fields – you’re a real maestro! Listen to the music and try to guess how your moves affect the sounds. THE SORCERER is an installation inspired by a hero from the poem by Belgian writer Maurice Carême. Start with putting a card with an onion picture on the table. Listen thoroughly to what children say on the screen and watch the animations carefully. Add the other cards and get to know the story of the sorcerer. It serves as a real workshop booster! It exists in few language versions (in Danish, among others)! BOPI – there you go with four drums in different colours. Let’s play them! By doing so, you make the floor explode with various flashy shapes that evolve into the new ones. See what happens when different patterns collide. Don’t step onto the screen! VIBRA gives an opportunity to listen to sounds and music without ears! Put the colourful headphones to different “bony” parts of your body, e.g. a forehead, an elbow, or a knee. It is how the bone-conducting works. TeToKi! [Technology to the Kids!] is a completely new set of interactive installations that allows you to play with patterns and rhythms, sounds and music, light and movement, made for the jubilee edition of the Interactive Playground exhibition, titled SIGNALS, designed specially for the 10th anniversary of the concept of Interactive Playground. All the TeToKi! works are based on simple signals – a monochrome light or a synthetic sound – and serve as reproductions of or variations on the existing media works and important techniques used (or created) by artists working with electronic media. PASS IT ON is an interactive installation created during the workshops of the same title, which took place at WRO in 2018 during winter holidays. The installation uses sounds recorded by children and the collage illustrations created by them, inspired by various auditory sensations. It is a kind of musical machine, using the illustrations as visual scores, controlling the sound composition. Paweł Janicki – a new media artist, author of music performance works, and producer. A founding member of the music group Gameboyzz Orchestra Project, which plays music on GameBoy consoles. He collaborates with the WRO Art Center, where he manages the WRO Lab, as well as with the Youth Behind the Machines Group, Nemesis, Job Karma, the 25fps Group, and Samploza Lab Anssample. He has taken part in numerous festivals and exhibitions related to experimental music, visual arts, and new media art. In 2004, he received an award from Tokyo University Haramachida for his internet performance Ping Melody. He engages in generative music and microsounds, but his compositions occasionally also take the form of visual pieces (for instance, fractal animations). He creates compositions based on algorithms and interactive systems, as well as installations and performances. He draws inspiration from the electronic and electroacoustic avant-garde. He uses self-designed programs and military or commercial technology. Zbigniew Kupisz – co-founder and main producer of all the WRO Biennale (since 1989). Member of the Board of the WRO Foundation. Organizer and producer of WRO presentations in Poland and abroad, including those during the Polish Year in Austria (2002), Germany (2005/2006) and Great Britain (2010), as well as Lower Silesia-Alsace regional co-operation (2004-2009). Expert on culture management and the NGO sector. Patrycja Mastej – graduated from the Eugeniusz Geppert Academy of Art and Design (ASP), received a scholarship from the Minister of Culture and National Heritage. Contemporary artist inspired by butoh dance and designer of educational interactive installation. Teach on laboratory of interactivity in Innovation Centre of the Academy of Fine Arts in Wrocław. Between 2011-2013 served as head of the department of education in Wrocław Contemporary Museum (MWW). Nowadays cooperates with MWW as an author of the series of interactive installations called “Self-service Museum” on 2nd floor of the MWW. Dominika Sobolewska – artist, designer, academic teacher in the Interior Design Department of the Wroclaw Eugeniusz Geppert Academy of Art and Design (ASP). In 2013-15 researcher within the Thematic Spaces Department of EXPO 2015 and Politecnico di Milano. The author of numerous interactive installations, experimental activities and projects dedicated to exhibitive space.